These books have sufficient theological content to interest experts but are intended for anyone to read with profit. They are theological books for the church. Heaven is a Place on Earth the importance of creation for the Christian worldview. Many Christians will recover the true meaning of their lives when they stop thinking like Plato and read their lives through the biblical story of creation, fall, and redemption. This liberating journey through Scripture shows you how. Don’t Stop Believing addresses the questions that this current generation is asking: is it possible to know anything?, must you believe something to be saved?, are people good or bad?, can non-Christians be saved?, does hell last forever? Each chapter begins with a fundamentalist extreme, cites a postmodern over-reaction, and closes with a third way which retains the best insights of each. The Last Enemy is an honest and hope-filled look at death. This book’s devotional style will help anyone who trembles when they consider their mortality. I don’t sugar coat death. It’s as bad as you think, and worse. But Jesus has triumphed over the grave, and if you follow the instructions in this book, so will you. 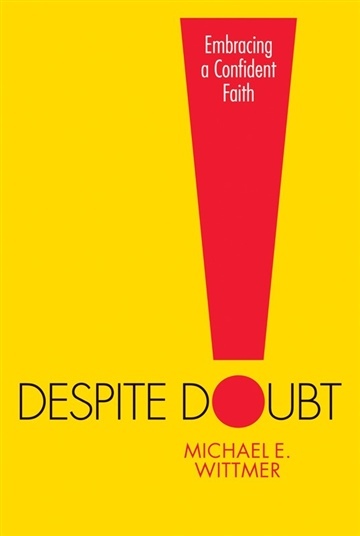 Despite Doubt: Embracing a Confident Faith examines both our objective doubts (Is there a God? Is Jesus His Son? Is the Bible God’s Word?) and our subjective doubts (Am I obeying God? Am I saved? Can I have assurance that I’m saved?). In each case we learn that while doubt can play a beneficial role, it isn’t necessary for a life of faith. Believe what you know, it’s more than you think.